The following blog post was a submission in the 2nd Annual Shorty Social Good Awards in the Business/NGO category. We are proud of the strong and long-lived partnership we have with UPS. After a major disaster, the generous (but often uninformed) outpouring of giving can result in a deluge of unsolicited goods. Research has shown that up to 60% of goods donated after a disaster end up in landfills or otherwise go to waste because they are not the right goods at the right time. Additionally, disaster giving tends to be driven by media coverage, so once the news cycle has turned to the next breaking story, giving drops off precipitously. 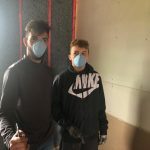 Approximately 80% of giving occurs within the first two weeks post-disaster, often leaving long-term recovery unfunded. 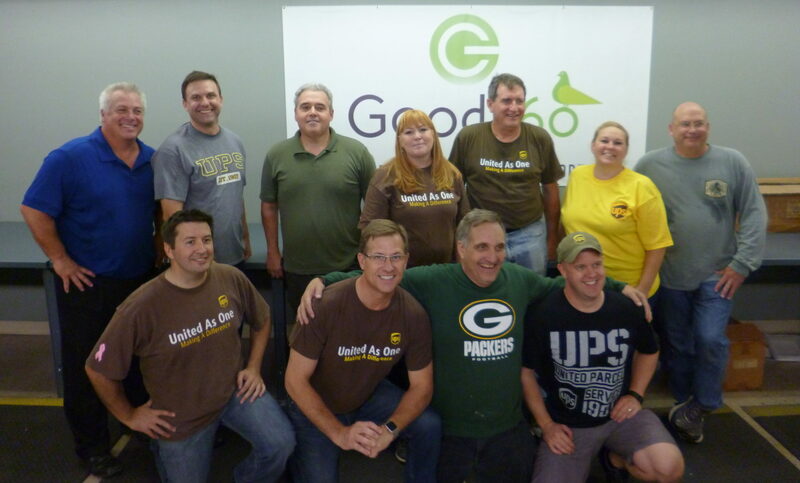 As the global leader in product philanthropy, Good360 has officially partnered with UPS in a Humanitarian Relief & Resilience Program that combines Good360’s impressive track record of distributing more than $9 billion in goods to those in need with UPS’s leading global supply chain and logistics expertise to tackle key issues in disaster recovery. Develop and codify an overall disaster response approach that addresses the unique needs of ALL stages of disaster recovery, from early response to long-term recovery. Create awareness of the current gaps in disaster recovery and educate key stakeholders on the best ways to give during times of disaster. Develop strategies to mitigate the adverse impact of future disasters by rebuilding more resilient communities today. Improve response time and reduce waste related to in-kind giving in disaster recovery. Develop ground-breaking approaches to disaster recovery as joint thought leaders in the space. Since in-kind giving is often uninformed about the actual needs of the impacted community, there can be tremendous waste and inefficiency. Good360 and UPS provide education and thought leadership around “thoughtful giving”, reinforcing the importance of aligning the right goods with the right people at the right time throughout every phase of a disaster. 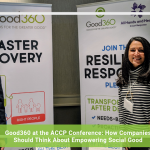 In partnership with UPS, Good360 has become the go-to platform for the acquisition and distribution of needed goods in alignment with the long tail of sustainable recovery. Whether it’s 24 hours or 12 months after a disaster, Good360 works with local nonprofits and agencies to determine the community’s needs, sources those items from donors and works with UPS to deliver them to recipients. 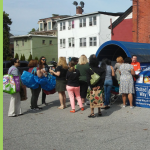 Correct needs assessment means that the community gets what it needs and that fewer goods go to waste. Sent at the wrong time, unneeded items clog up supply routes and warehouses and divert the attention of recovery resources on the ground. During a disaster, a region’s infrastructure is often weakened – warehouses are damaged, transportation routes are compromised, and local goods that may have otherwise been available for distribution are ruined. Good360 and UPS have partnered to pre-position critically needed goods near vulnerable regions for rapid response when needs arise. Products such as cleaning supplies, bedding, and personal care items are stored in strategically located Good360 partner warehouses around the country and UPS ensures that those goods are delivered where and when needed. Together, we prepare communities for future disasters by increasing their resiliency. Good360 and UPS teamed up to move over $1 million in premium quality furniture to flood-ravaged southern Louisiana in June 2017 – higher quality goods have a better chance of withstanding future disaster conditions. Internationally, Good360 and UPS have partnered to deliver school supplies to schools in Liberia, West Africa, a country ravaged by a civil war and the Ebola crisis. We are working with a Liberia-based NGO who is developing a model for a vastly improved education system. 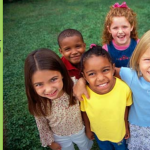 Helping break the cycle of poverty and lack of education is the ultimate in creating resiliency for the future. 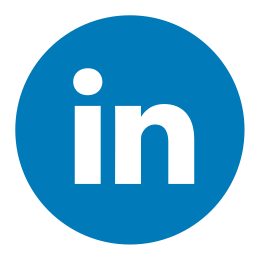 In late 2016, Good360 introduced the “Good360 Disaster Recovery Council” with UPS as a founding partner. We have developed four key mandates for the Council to transform the way that both public and private entities handle disaster recovery: (1.) data mapping on effective giving (2.) driving engagement around long-term disaster recovery (3.) education about thoughtful giving and (4.) leveraging technology and innovation. Accelerated the recovery of some impacted areas by as much as 2-3 years. Leveraged UPS in-kind support so that for every $1 donated, Good360 was able distribute $41 in needed goods. In the first half of 2017, we jointly increased appropriate distribution of goods to disaster impacted communities by a factor of 8X, compared to the first half of 2016. Also in the first half of 2017, we engaged 233% more local, on-the-ground nonprofits than in the first half of 2016. We are jointly leading by example – the number of corporate donors engaged in disaster recovery gifts increased by 85% the first half of 2017 compared to the same period in 2016. 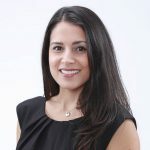 This is an extremely effective business/NGO partnership that truly leverages the unique strengths of each organization. 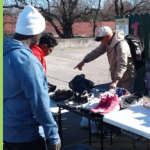 Good360’s 34-year track record in combination with UPS employees’ skill and passion, the company’s logistics expertise, transportation assets and charitable donations makes a measurable difference in the communities we jointly serve.